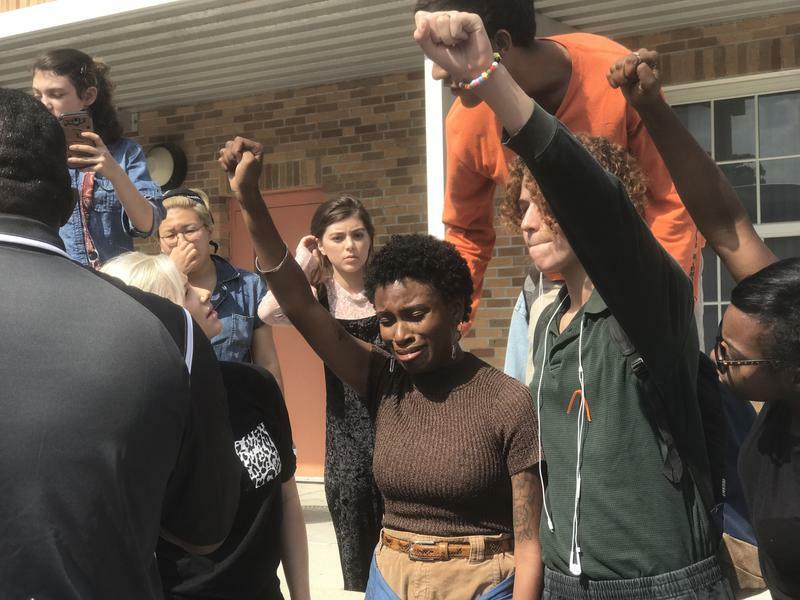 Students at Plant High School participated in Friday's National Student Walkout in protest of gun violence. Plant High students protested gun violence during a 30-minute demonstration. 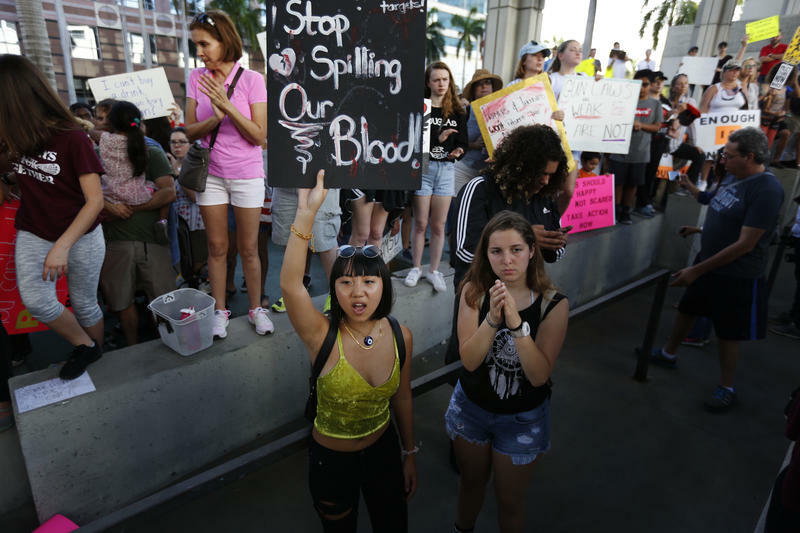 On the 19th anniversary of the Columbine High School shooting, students across the Tampa Bay area participated in Friday’s National Student Walkout. After the February shooting at Marjory Stoneman Douglas High School in Parkland killed 17 people, students across the country have spoken up and protested against gun violence. Over 2,500 schools across the country planned to walk out of class at 10 a.m. to hold a protest and a moment of silence for the victims of gun violence. Just a few hours before Friday’s walkouts were scheduled to begin, another shooting occurred at a high school in Ocala. 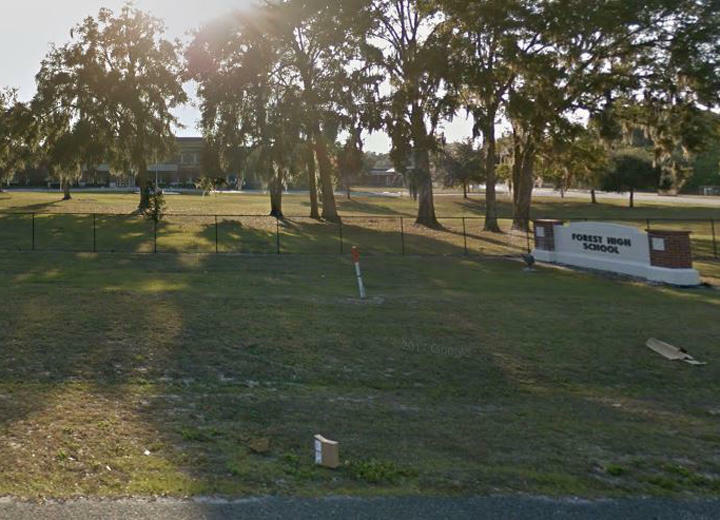 A 17-year-old student at Forest High School was shot in the ankle by a non-student, who was later taken into custody. Brooke Shapiro, a senior at Plant High School, learned about the shooting just a few moments before the protest at her school. 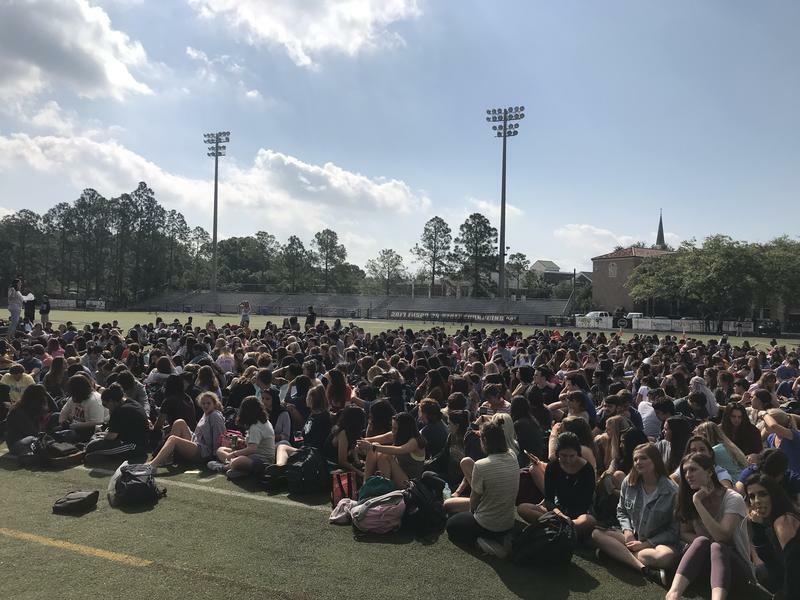 The walkout at Plant was originally supposed to be an all-day event. Students were going to write letters to lawmakers, help others register to vote, and present bipartisan speeches and performances. However, Shapiro said that backlash from parents caused Plant’s principal to cancel all events except a 30-minute demonstration with no signs. She said that some teachers told their students they would be penalized if they chose to participate. Plant High Principal Johnny Bush said he was not aware of this occurring, and he heard many teachers were actually encouraging their students to participate. Bush said that allowing the demonstration supplied the students with a safe venue for 30 minutes, but it didn't mean walkouts were accepted or tolerated. Moving forward, the school will not allow walkouts, he said. 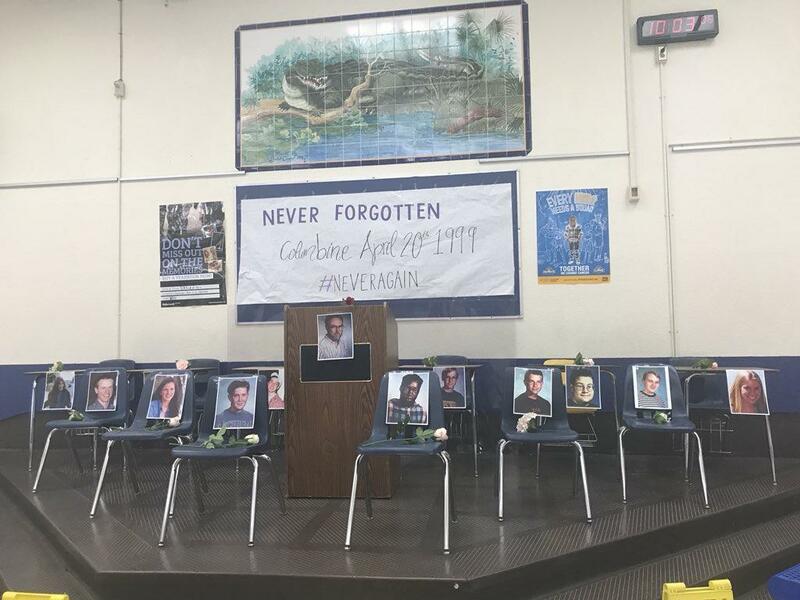 Land O' Lakes High School created a memorial for the victims of the Columbine High School shooting in 1999. A similar reaction was seen at another school in the Tampa Bay area. Leona Rosado, a sophomore at Land O’ Lakes High School, said that students left class at 10 a.m., but ten minutes later they were told by administrators that they would get in trouble. The school's principal Ric Mellin said there was no planned walkout, just tributes throughout the day to victims of past tragedies. Even though these walkouts were not as successful as they hoped, Shapiro said she was still glad they got to be part of the movement.